Digital blending (a.k.a. exposure blending or blending multiple exposures). It’s a post-processing technique used by photographers to combine multiple images into one in an image editing software such as Adobe Photoshop. The concept is not difficult to understand and there are many ways to merge photos together. In this tutorial, I’m going to share with you all the blending techniques I use as part of my workflow. You can also download the PDF Cheat Sheet here. 4 When not to exposure blend? The main reason is to overcome the limited dynamic range of our digital camera. In other words, it’s to create a high dynamic range image. Apart from that, blending is also used frequently in composite photography. But exposure blending allows you to have more control over your image. The result is also thought to be more natural and realistic. You see, although the technology is constantly evolving, our camera still can’t capture what we see with our eyes. 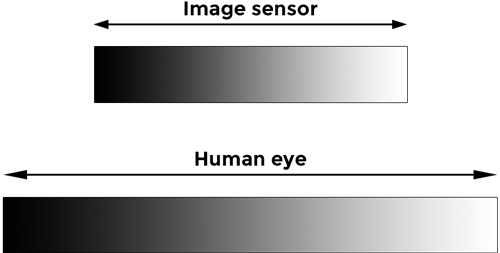 The current technology of the digital image sensor can only record light of up to about 14 stops. “Stop” is how the camera measures light quantitatively (for example, 1 stop down from a shutter speed of 1/200 sec is 1/100 sec). But in real life, light in a given scene can be as high as 20 stops. The picture above gives you an idea of what I’ve just explained to you. As you can see, sometimes you just can’t fit what you see with your eyes into the image sensor of your camera. That doesn’t mean you can’t take a photo with your camera. 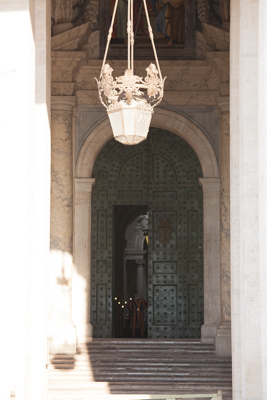 I took this in the Vatican City at midday (can you see the Swiss Guard?). You can see there are no details in the highlights because there’s simply no color information recorded on the image sensor. The dynamic range of the scene has exceeded that of the camera. You get blown out highlights or highlights clipping. The same can happen to the darkest part of the image too. This is the reason why we merge pictures together – to create a high dynamic range image. At the moment, the only way to see details in the brightest or the darkest part of an image that is clipped is to take the same image with a different exposure. 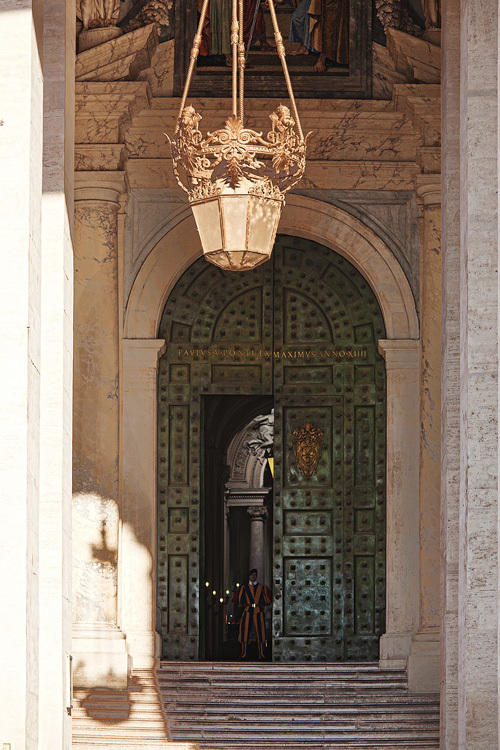 Using the example above, I took a darker image to expose for the walls and a brighter image to exposure for the interior (the area behind the door). By bracketing multiple exposures automatically or manually. There are 2 options on what you can do with the bracketed images. I won’t go into the details of HDR software here because this tutorial is about how to blend picture. I know you probably already know how to do this. But I think it’s worth going into some details to cover how you to make sure you have captured the whole dynamic range in your bracketed images. When we have a scene with high contrast (sunset for example), we know that bracketing exposure needs to be done. What most of us tend to do is set our camera to AEB and start snapping. Some might preview the pictures on the LCD screen and that’s it. We go home and discover that the highlights are clipped even in the darkest exposure. The simple trick to avoid this is to look at the histogram. What I normally do is to check the histogram of my darkest and brightest exposure. The highlights should not be clipped in the darkest exposure and the shadows should not be clipped in the brightest exposure. If this is the histograms of your bracketed exposures, then maybe you haven’t taken enough yet. Let’s look at the histogram for the darkest exposure first. The same for the brightest exposure, which was taken to expose for the shadows. But you can see there is still some shadows on the far left almost touching the line. Your image may turn out fine but why risk it when all you have to do is to take one more darkest and brightest exposure to get the dynamic range all covered. This is how my histograms look for my bracketed exposures before I go home in peace. In the darkest exposure, you can see the highlights are far away from the right. In the opposite, the shadows are far away from the left in the brightest exposure. This just gives you more room to play with tonal adjustments in post-processing. How Many Bracketed Exposure Do You Need? As many as you need to cover the dynamic range. There is no rule whether it should be 1 stop (1EV) interval or 2 stops. Always use a tripod or something to make sure the camera doesn’t move. You want every single part of the image to be aligned in every frame. Otherwise, unaligned images can cause problem when you blend photos together. You can also shoot bracketed exposure handheld if the light is good enough and you can keep the shutter at a reasonable speed to avoid blur. No matter how steady your hands are, there will be some discrepancy in each frame. When you open your images in editing, align them first before you start to blend exposures together. Light metering in live view is actually very easy. For mirrorless camera user – this is sort of the default view for you already. 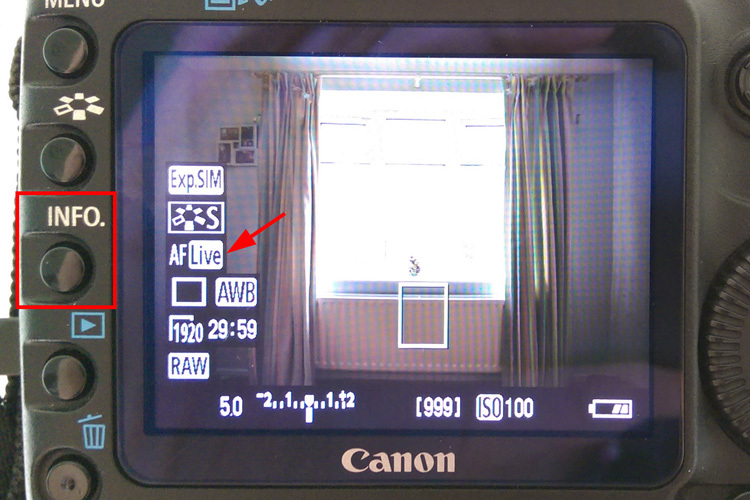 For DSLR user – you have to press a button to flip the mirror up to enable live view. If in doubt, check your camera’s manual to see how to do it. This is the live view of a Canon 5D Mark II. I’ve pressed the button and I can hear the mirror being flipped up. You’ll see your subject on the LCD screen instantly. I’ve also set the camera to Av mode (aperture priority). If you press the INFO button, a few things will come up on the screen. At the bottom, you can see the setting for ISO, aperture (f/5 in this case), exposure compensation and a blank space on the lower left-hand corner which will be the shutter speed. You can also see that the camera is in AF Live (pointed by the red arrow). There is a little rectangular box in the middle which you can move it with the dial on the back of the camera. Because we’re in Av mode, the shutter speed will be set for you depending on where the rectangular box is. In this example, I want an image to expose for the outside of the windows and one to expose for the side. You can see where I’ve moved the rectangular box and the shutter speed the camera set for me in Av mode. 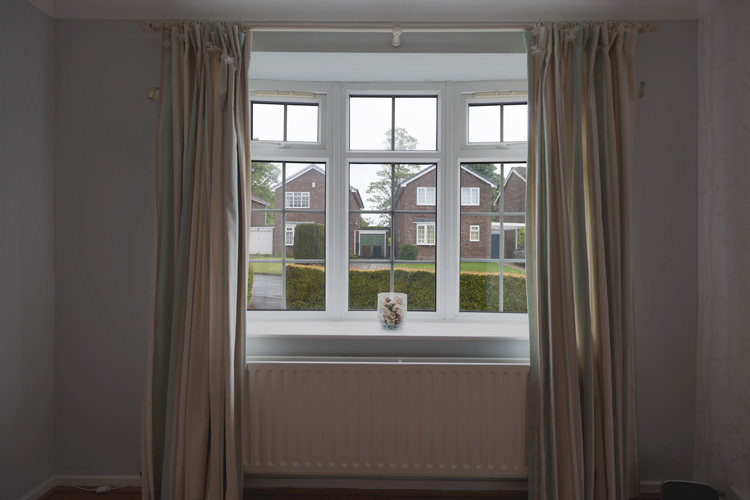 I then blended both in Photoshop and the result is a well-balanced image with visible details inside and outside the windows. The advantage of shooting different exposure with live view is that you can decide how many exposures you need and where you want the image to expose. It’s less restrictive compared to bracketing exposure. When Not To Exposure Blend? I know digital blending in Photoshop sounds very exciting. Feels a bit like when you first learned about HDR with HDR software. You probably bracket everything you shoot and tone map every image into HDR. You don’t need to merge images when you can take a good image in a single exposure. How do you find out if you don’t need to blend photo? 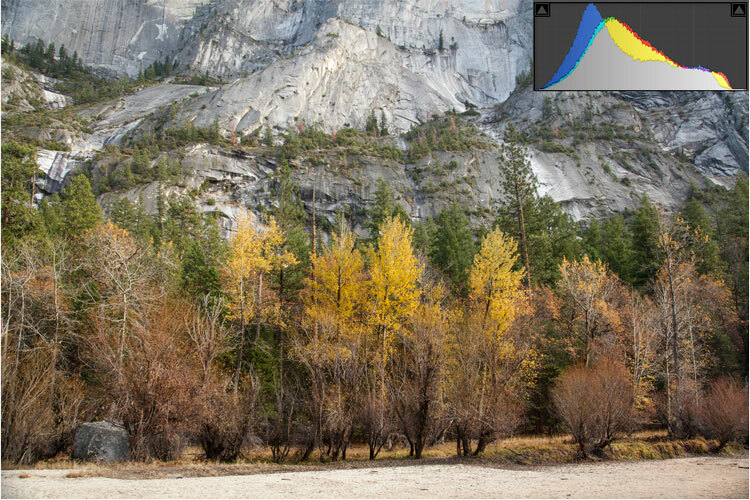 Look at the example below, a picture taken in the Yosemite National Park. At first sight, everything seems to be properly exposed. There is no visible highlights or shadows clipping. Now take a look the histogram – mostly midtones with some in the highlights and shadows and there is definitely no clipping. So, in this case, blending wouldn’t achieve anything more than what has been achieved already. To increase the dynamic range of the image when our camera couldn’t. In terms of software, I’ll be using Adobe Photoshop CC 2015 in this digital blending tutorial. It works the same if you’re using an older version of Photoshop so don’t worry. If you don’t have Photoshop, you can download GIMP and refer to this tutorial on blending in GIMP to start off. You can also search “digital blending in GIMP” to find more free tutorials. Unfortunately, you can’t blend photo in Adobe Lightroom because there is no layer mask. You can download a plugin called Enfuse. Check out this video to see how it works. Make sure the color depth is set to 16-bit mode instead of 8-bit to maximize the color depth. From the top menu in Photoshop, go to Image > Mode > 16 Bits/Channel. Optimize the highlights and shadows first. For example, in the darkest exposure which is used to exposed for the highlights, I use the Highlights and Whites slider bar to make sure they are in their best form. I do the same in the brightest exposure for the shadows. Make sure all images are stacked in layers. If you open your images from Lightroom, select all, right click and choose Edit in > Open as Layers in Photoshop. If you open them straight in Photoshop, do your optimization in Adobe Camera Raw for all the images and use the move tool to drag all the files into one. You can also do this with copy and paste (but might slow down your system because of the copied files on the clipboard). Align all the layers with Edit > Auto-Align Layers especially if you bracketed handheld. Which layer should be on top? It doesn’t really matter and you’ll eventually develop your own style. For me, I like to blend darker exposure in so I put the darker exposure on top in most cases. 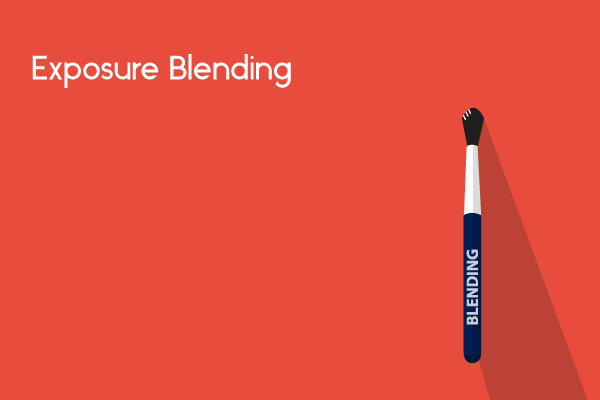 You’re now ready to blend! Download the images I use in this tutorial and let’s work together! One thing you should know is that there is no one way to blend images. There are several methods and you can try them all to see which one you like and develop your skills further from there. For the purpose of basic exposure blending, I will show you how to merge two photos. The principles of merging multiple images are the same and it will come with experience. I’ll start from the easiest to the most technical method to combine two photos. These are the images that will be used to combine two pictures in all the examples below. 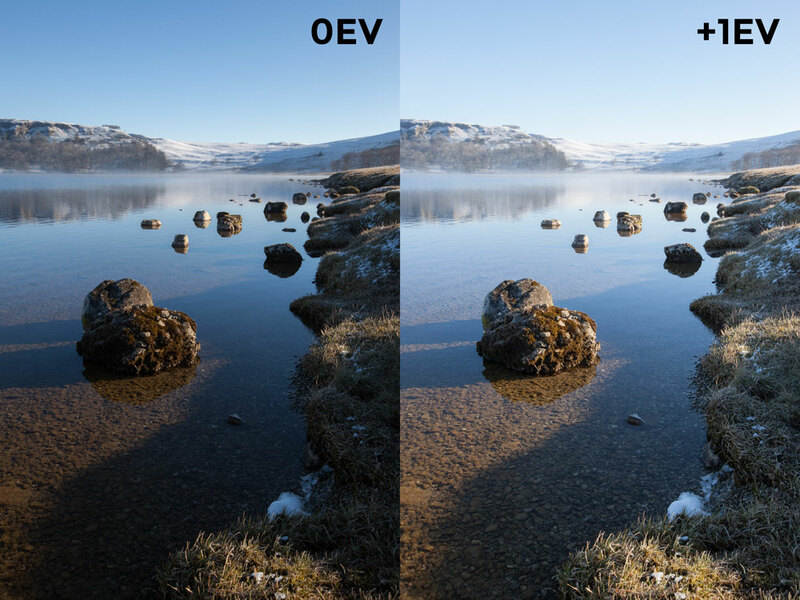 These are 0EV and +1EV, both are optimized for highlights and shadows in Lightroom, and stacked in layers in Photoshop with the darker exposure (0EV) on top. Also known as painting a mask. Essentially, you mask the top layer with a black layer mask and paint the layer mask with a white brush to reveal the part you want to blend in. I call it free hand blending because there are no selections to be made. You paint it freely with a white brush to the effect you like. 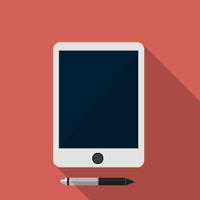 Create a black layer mask for the top layer by holding down opt (Mac) or alt (Win) + click on the layer mask icon. Select the brush tool, set hardness to 0%, opacity to 50% to start with, size of the brush to large and color to white. Paint on the bright sky in the layer mask to reveal the darker sky concealed by the black mask. You can do this over a few passes (remember that each pass is only 50% opacity) to make the effect stronger. Paint over where the bright meets the dark with a white brush first, then switch between a dark and a white brush to paint over the same area a few times to make the transition as smooth as possible. Free hand blending is very effective when the transition between the dark and the bright is relatively straight and not complicated. The key here is to go back and forth along the transition with the white and black brush so that the final blended image looks smooth and natural. I came across this technique while reading an article on The Luminous Landscape. The Luminous Landscape is a great resource for any photographers and all you have to pay is $12/year, that’s $1 a month. It’s literally free! It has awesome content for learning and improving your photography skills. This has to be one of the easiest ways to combine two pictures. It involves a few click on the mouse and copy + paste. Create a layer mask for the top layer and keep it in white. Now click on the bottom layer, select all and copy by cmd (Mac) or ctrl (Win) + A then C.
Hold down opt (Mac) or alt (Win) + click on the white layer mask on the top layer. The image will now turn white. Paste into the layer mask by cmd (Mac) or ctrl (Win) + V.
What it does is to copy the bottom layer and paste it as a black and white image on the layer mask. Because it’s black in the shadows and white in the highlights, it naturally masks out the shadows and reveals the optimized highlights. Applying the gradient mask is the same principle as using a graduated neutral density filter during shooting. It only works well when the transitional zone is relatively straight and not complicated. The advantage of the gradient mask over a graduated ND filter is that you can keep on applying it until you’re satisfied with the results and it’s not time-consuming as using a filter. Select the gradient tool from the tools panel or use keyboard shortcut G.
Click to select the layer mask for the top layer. On the image itself, from the top, click and drag to about half way down the image. You should see a gradient applied to the layer mask and the blended result instantly. Repeat Step (5) a few times until you’re satisfied with the transition and the effect. This is another easy and quick way of blending. The disadvantage of this over the other 2 methods above is that the shadows below the horizon remain darker because the gradient mask doesn’t give any flexibility to anything below the transition. This video shows you how gradient mask works in blending. One of my favorite way of blending is color range. It’s easy and the color range panel is very straight forward to use. It works by creating a color based mask based on the color you pick. You can choose a preset color from the menu, or pick the color you want with the eyedropper tool. I’ve written a tutorial on how to use color range to blend so I won’t go over the details here. You can see the sky in the final blended image is more saturated compared to other methods. This is because most of the sky and the water reflection are selected based on the blue color. Yet another quick way to combine two pictures of different exposure. Blend if is accessed through the Layers Style by double-clicking a layer. Not really but you do need to understand how the slider bars work. I’ve written a full tutorial about blend if and you can refer to that tutorial for more details on how to use this blend tool. Let’s see the settings I used to blend this example image, the effect of the top layer and the final blended image. It starts to get slightly technical now. Apply image is a great tool but poorly understood by many. Essentially, it blends the source file to the target file and you can decide how this is done. Click on the layer mask to select it. From the top menu, go to Image > Apply Image. You can see the image has been blended already. Keep everything in its default setting. In the Channel drop-down menu, you can choose to blend with RGB or the individual R, G and B channel. I used the blue channel in this case because it separates the shadows and the highlights better than the rest. Click ok and you’re done. You can also change the blend mode of the top layer to multiply to make the sky a bit darker and saturated. Luminosity masks is a powerful selection tool that allows you to make a selection based on the luminosity value of the pixels. Another great feature of luminosity masks is its self-feathering border making the transition in the blending zone smooth and natural. To learn more, you can read my Kickstarter’s Guide To Luminosity Masks. It’s a big topic and will take you some time to digest the information. You can visit the original article published by Tony Kuyper, or check out The Kickstarter’s Guide To Luminosity Mask where you’ll find every information you in. Anyway, let’s see the final image blended with luminosity masks. You can see from the layer mask that the transition is gradual and smooth from the sky to the foreground. The shore which is in the shadows was protected from the selection. The result is a much more natural and visually appealing compared to other methods above. Now that you’re loaded with options to blend images. There is no answer to that. There are no formulas to follow and you’ll have to experiment different ways to find one that suits your style. My principle is to use whichever that’s easiest and gives the best result. With experience, I know that free hand and gradient mask won’t work for me most of the time because my images don’t always have a straight horizon. I use blend if or color range sometimes when the image is simple enough but I find myself using luminosity masks most of the time because I know it works. Like tone mapping with HDR software, a blended image should not be your last step in post-processing. In fact, it’s the beginning of post-processing. Remember that you’re dealing with RAW file and you should tease out the best of each pixel by all means! Exposure blending is an elegant way of merging photos to increase the dynamic range naturally. You don’t have to use every single method to blend all the time but knowing their existence may help you to get the effect you want in complex images. I’ve bought an old XTi to start and discovered about AEB. Wanted to know how to deal with the results and ended up here. Very good article, thank you very much! Btw, it looks like I am not doing it right with my RAW files, because as soon as CameraRaw window appears, I just click on ‘Open Image’ and do the rest on Photoshop. Time to learn a bit more about RAW processing. You’re welcome! I used to do that too, always thought it was a waste of time doing it in ACR and then in Photoshop. 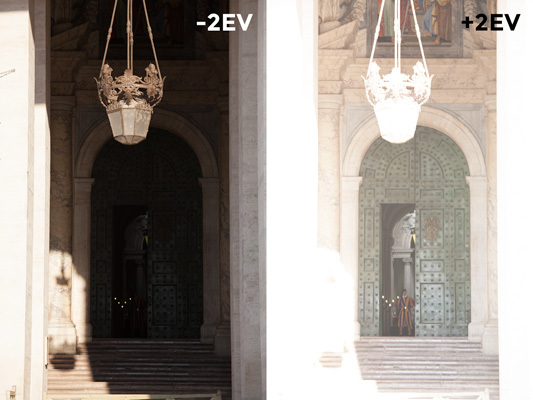 But getting post-processing done as much as possible in ACR first does have its advantage.